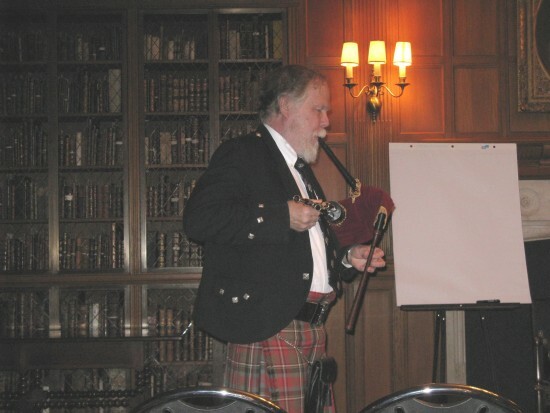 Bruce Wright has played bagpipes for many high-profile events in central North Carolina, including the opening ceremonies for the Coca-Cola 600 at Charlotte Motor Speedway, several events at Pinehurst, graduation services at the University of North Carolina, the opening of the 5-star Umstead Hotel in Cary, the annual Children's Christmas Eve service at Duke University Chapel in Durham, the annual "12 Days of Christmas" Scottish dinner at the Carolina Inn in Chapel Hill, and many other events such as Burns suppers, charity events, church services, St. Patrick's Day celebrations, golf tournaments, country club dinners, private parties, and business functions, as well as weddings and funerals. Mr. Wright did a wonderful job. He is very experienced his play impressed all of the guests. Bruce is an expert! What fun it was to have him with us again for our family reunion where the Scuppernong River and the Albermarle Sound meet. Bruce's playing is lovely and his knowledge about the music, instrument and history was fascinating. Please hire him and take advantage of his superb talents! Great job. The high light of my mom's 90th birthday part. Thanks so much! Bruce was on time and ready. Played amazingly. Made for a beautiful ceremony. Made my day. Would definitely recommend him to any and everyone. Booked Mr. Wright for a televised awards event before an audience of several hundred. He showed up on time, ready to perform. He worked with the event planner on what to play and when, then performed perfectly. We would love to have him return. Bruce has been playing the pipes for over 25 years and has studied piping under several of the most prominent piping instructors in North America, including Sandy Jones (former Pipe Major of the US Air Force Pipe Band and former Director of Piping at the Citadel in Charleston, SC), Colin MacLellan (Winner of the Gold Medal and the Clasp, two of piping's highest awards), and Ed Neigh (Former Pipe Major of the Grade 1 Guelph Pipe Band from Ontario, Canada). 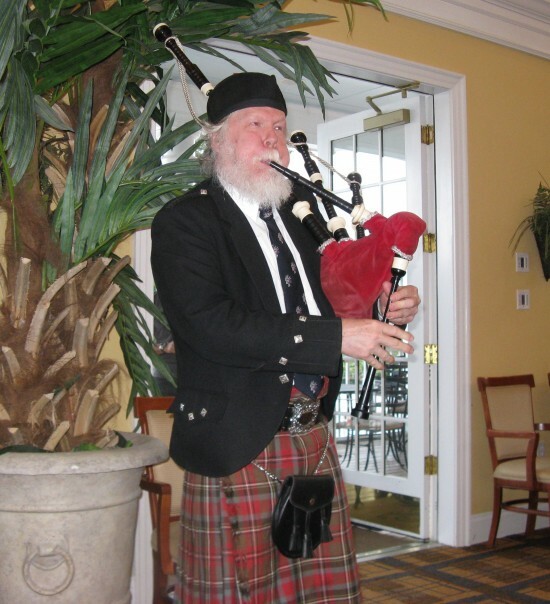 Bruce was Pipe Major (Director) of the City of Oaks Pipe Band in Raleigh for over 10 years, and is currently the piping instructor for the North Carolina State University Pipes and Drums Grade 4 band. 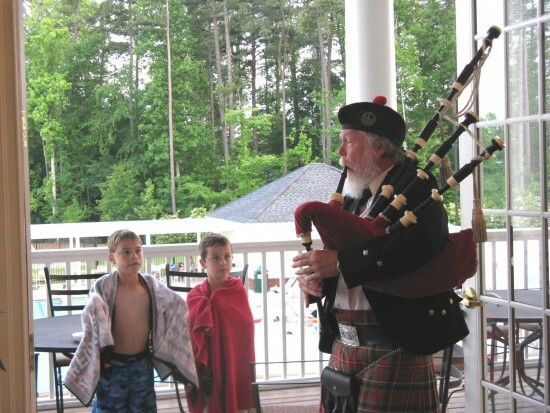 He currently plays with the NCSU Pipes and Drums Grade 3 (upper-level) band. He is available for weddings, funerals, private parties, and all other events that would be enhanced by the pipes. Typically will need a small amount of space and 15 minutes to an hour to set up, depending on the type of event.